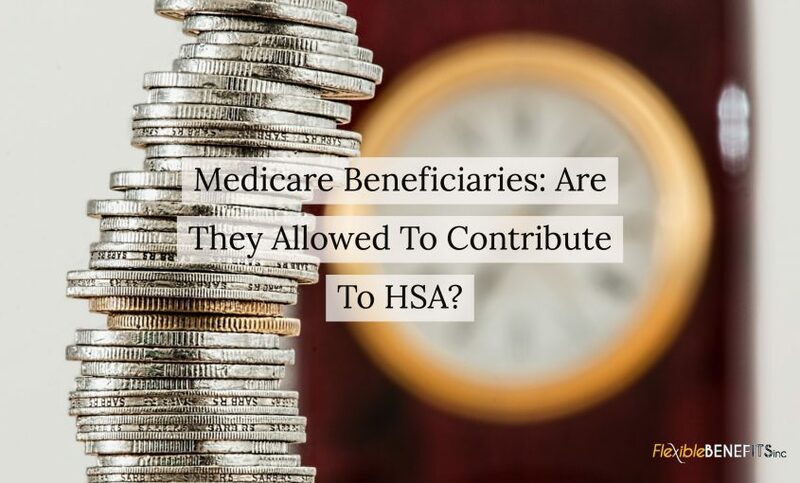 Medicare Beneficiaries: Are They Allowed to Contribute to HSA? – Flexible Benefits Inc.
Medicare Beneficiaries: Are They Allowed to Contribute to HSA? Home » Blog » Medicare Beneficiaries: Are They Allowed to Contribute to HSA? Health Savings Accounts have been around since 2003. So, although they have been around for over a decade, there are still a lot of people who remain unfamiliar with them. Health Savings Accounts can be compared to a personal savings account, however, it allows an individual to use untaxed savings to pay their health insurance costs. Health Savings Accounts offer many advantages for individuals, but they do not mix with certain types of federal programs and benefits. For example, if you are enrolled in Medicare Part A or Medicare Part B, or if you file for Social Security benefits after the age of 65, you will not be able to make contributions to a Health Savings Account. So, what is Medicare? Medicare is a type of health insurance, which is provided by the federal government. There are many ways to qualify for Medicare, the program is mainly for those who are over the age of 65. The IRS forbids those are enrolled in Medicare Part A or Medicare Part B from contributing to a Health Savings Account. The reason for this is because a person with a Health Savings Account must also have individual health insurance through a high-deductible health plan. The IRS includes Medicare Part A & B as a health coverage, but not as an high-deductible health plan. Therefore, individuals who continue to contribute to a health savings account after Medicare coverage can risk IRS penalties. However, there is some good news! Once you begin receiving Medicare benefits, you can still continue to withdraw money from your Health Savings Account – you are just not able to put more money into your account. It is becoming more common for people to continue working past the age of 65. Therefore, the issue of balancing federal benefits against individual health insurance options like HSAs is likely to feature in employees’ health concerns. It is important to remain educated on the various types of federal benefits available to you! If you have any questions regarding offering Health Savings Accounts top your employees, Flexible Benefits, Inc. is here to answer them. Give us a call today and let us show you what using this great benefit can do for you and your staff. Contact us at (251) 237-1115 or toll-free at 1-888-821-9007.